There are certain scenes, certain hills and valleys and groves of pines which demand that a story shall be written about them. I would refine; I would say that the emotions aroused by these external things reverberating in the heart are indeed the story; or all that signifies the story....We translate a hill into a tale, conceive lovers to explain a brook, turn the perfect into the imperfect. We lead two lives, and the half of our soul is madness, and half heaven is lit by a black sun. I say I am a man, is the other that hides in me? We both wondered whether these contradictions that one can't avoid if one begins to think of time and space may not really be proofs that the whole of life is a dream, and the moon and stars bits of nightmare. There are sacraments of evil as well as of good about us, and we live and move to my belief in an unknown world, a place where there are caves and shadows and dwellers in twilight. It is possible that man may sometimes return on the track of evolution, and it is my belief that an awful lore is not yet dead. There are strange things lost and forgotten in obscure corners of the newspaper. 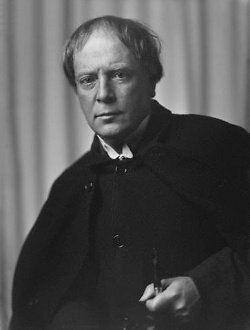 Bio: Arthur Machen was a Welsh author and mystic of the 1890s and early 20th century. He is best known for his influential supernatural, fantasy, and horror fiction. His novella The Great God Pan has garnered a reputation as a classic of horror.